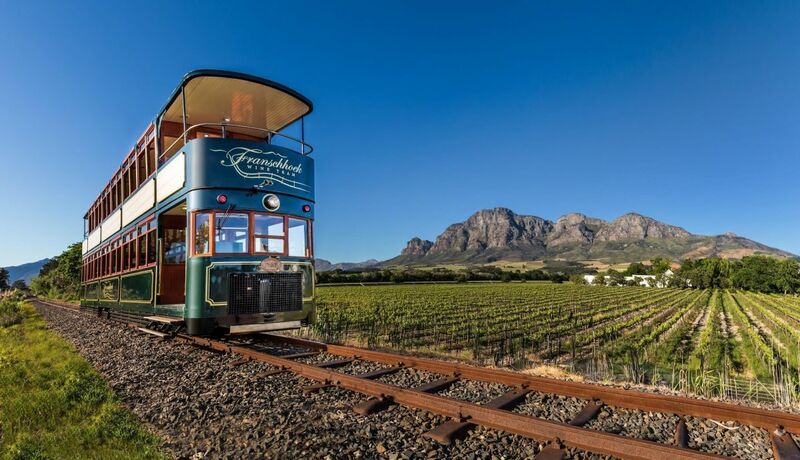 City Sightseeing’s newest ticket offering takes guests to the beautiful Franschhoek Valley for a day of wine tasting and incredible views with the Franschhoek Wine Tram. 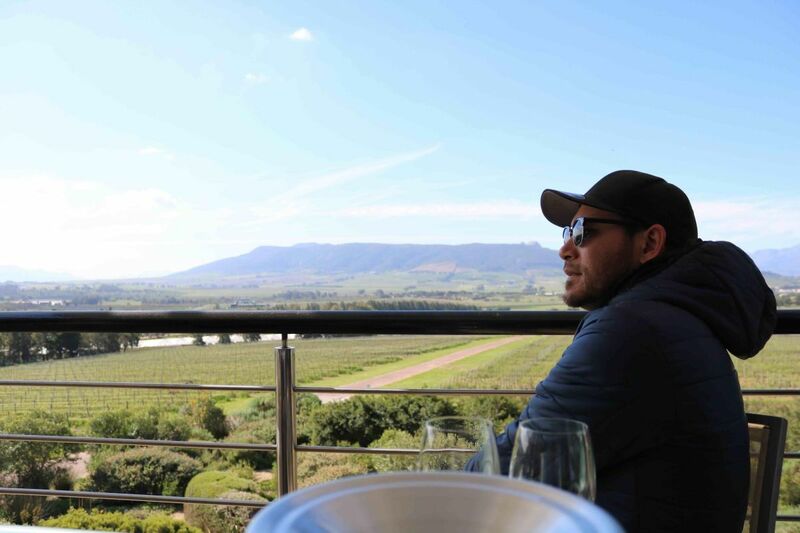 After leaving Cape Town early the morning and before returning to the Mother City late afternoon, guests have the opportunity to visit nine top wine estates. When booking your ticket (either online or at one of our ticket offices), you need to specify your pick-up location. Each pick-up spot has a designated pick-up time. Ensure you are able to arrive at the bus stop at least five minutes before this departure time. Unfortunately, the bus cannot wait for late arrivals. When you’re on board the luxury Cape Explorer coach, it’s time to sit back and relax. Plug your phone into a USB port, connect to the free Wi-Fi and enjoy the beautiful mountain views as you drive to Franschhoek. In Franschhoek, the red bus will drop you off at Groot Drakenstein Station. 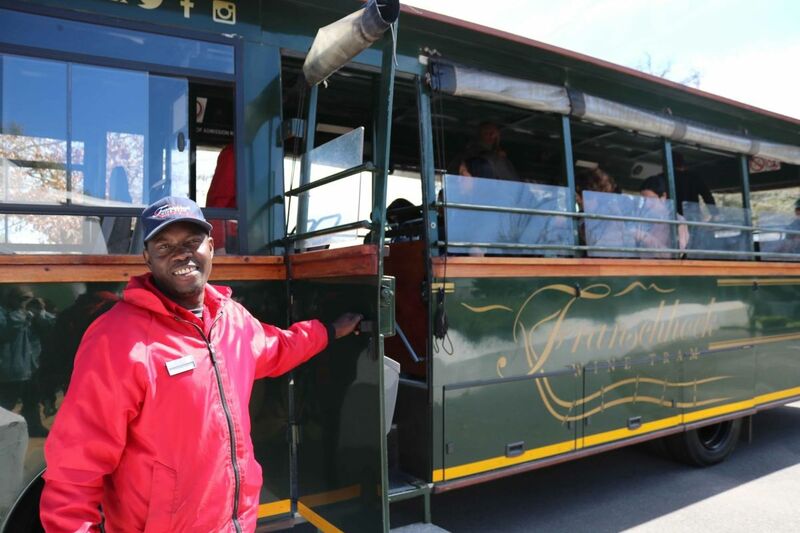 Here, you will be left in the capable hands of the Franschhoek Wine Tram team for the rest of the day. Although the bus will wait at Groot Drakenstein until it’s time to return to Cape Town around 4pm, we recommend that guests do not leave any personal belongings on the bus. Hop on a tram-bus and be transported to Allée Bleue along the famous “blue avenue” (after which the estate was named) of blue eucalyptus trees that magnificently line the entrance to the property. At the tasting room, you can savour the award-winning wines outside on the tree-shaded terrace overlooking the vineyards on a warm day, or enjoy a cosy open fire during winter. 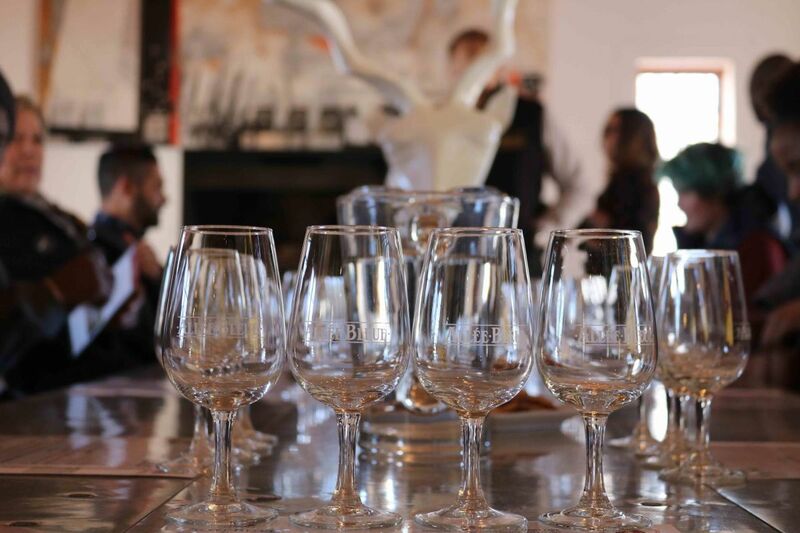 You will have a chance to explore the estate or taste wine for about an hour before the tram-bus will collect you to return to Groot Drakenstein. At Groot Drakenstein, you will board the double-decker tram. If it’s a warm and sunny day, grab a seat outside on the upper level to enjoy the stunning views and fresh air. 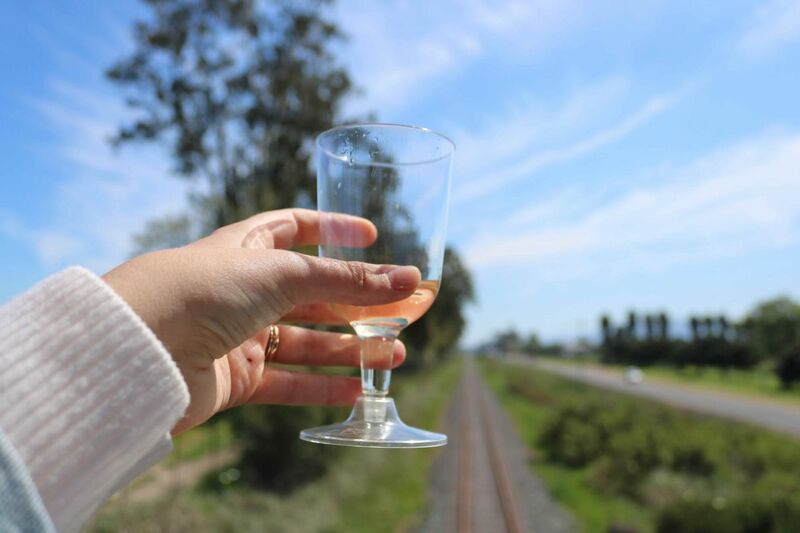 As the tram departs, you will be treated to a complimentary tasting of a wine from one of the farms along the route. Cheers! Backsberg is South Africa’s first carbon-neutral winery and one of the few estates in South Africa that produce kosher wines. The farm also boasts an exceptional restaurant, should you wish to extend your time here for a leisurely lunch. When you’re ready to move on to the next estate, simply hop back on the tram, which stops here every 30 minutes. When it comes to breathtaking views, there are few estates that can compare with Glen Carlou, perched on the hillside overlooking the Franschhoek Valley. Here you can enjoy a quick wine tasting or a decadent food-and-wine pairing, or simply sit back and admire the beautiful vistas. Don’t forget to factor in some time to visit the estate’s contemporary art gallery. 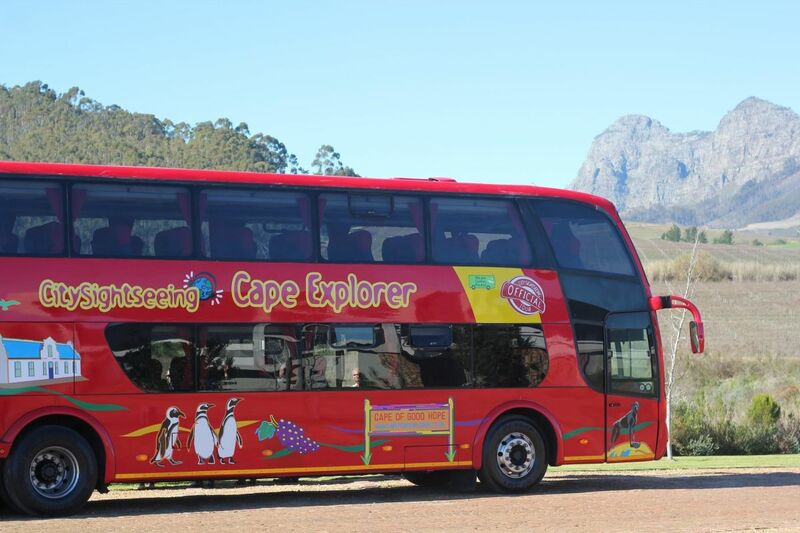 The clock strikes 4pm – time to return to Cape Town with City Sightseeing! The tram and tram-bus conductors will advise you when it’s time to start looking at the clock to make sure you are back at Groot Drakenstein in time to hop back on the Cape Explorer bus. You will leave Franschhoek at approximately 4pm and get back to Cape Town around 5.30pm, depending on traffic. The Cape Explorer will drop you off at stop 1 at the V&A Waterfront, and you can use any of the open-top buses as a shuttle to return to your starting point or to another bus stop around Cape Town.